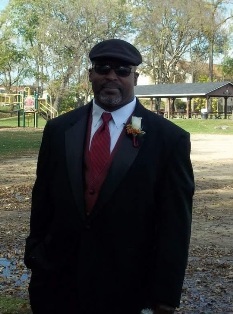 Thomas “Ricky" Bean Jr., 58, of Sparta, died Friday, September 14, 2018 at his home surrounded by family. He was born on January 7, 1960 to the late Thomas Sr. and Florene (Buchanon) Bean in Sikeston, Missouri. Thomas was born and raised in the Sikeston area and graduated from Sikeston Senior High. Shortly after graduating he proudly served his country as a MP in the US Army from 1982-1991 stationed in Hawaii and Germany. Thomas had various jobs throughout his career but always found time out of his busy schedule for his family. He worked for Cardinal Glass for a short time, started his corrections career as a parole officer and was a corrections officer for Jackson County Correctional facility. Thomas married, his loving wife, Terri Haws on January 27, 2004. Thomas enjoyed boating, gardening, and small game hunting. His favorite past time was family cookouts, playing cards and dominos as well as late night catfishing, but most importantly he loved spending time with his children and grandchildren. Thomas will be missed by many friends and family. He had a heart of gold with an infectious smile. He was one of god’s best creations, a magnificent man inside and out, we are truly blessed to have known such a great person. Thomas is survived by his loving wife, Terri Bean; his children, Thomas Bean III; and Christopher (Leianna) Melde; his grandchildren, Izabella Melde; Kynzlee Melde; Elliana Melde; Landen Melde; Brennen Melde and the family pet Reeno. He is further survived by his two brothers, David Bean and Russell (Jennifer) Bean; three sisters, Betty Hunt, Colleen Hurt, and Minnie (Jeffery) Hobbs; and many nieces, nephews, great nieces and great nephews. He was preceded in death by his son, Michael Thomas Melde; his parents, Thomas Sr. and Florene Bean; a brother, Clayton Bean; two sisters, Eula Bean and Debra Bean; and brothers-in-law, Gene Hunt and Coy Hunt. A memorial service will be held at 1 p.m. on Wednesday, September 19, at the Lanham-Schanhofer Funeral Home, Sparta, with Chaplin Myron Olson officiating. Following the service there will be full military honors provided by VFW Post 2112 at the funeral home. Family and friends are invited to gather at the funeral home on Wednesday from 11 a.m. until the time of services. Online condolences may be offered to Thomas’ family at www.schanhoferfh.com.